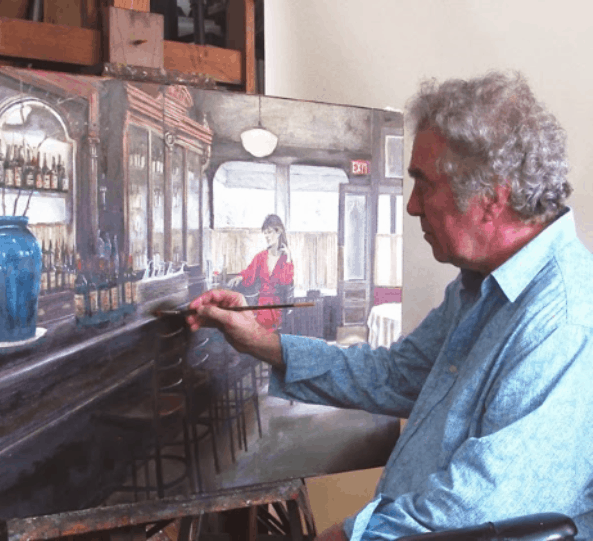 The Vault at 1930 is offering a 6-week acrylic/oil painting class with a great artist and instructor Harry McCormick. Students in Harry’s class will learn composition for still life and techniques in acrylic and oil. The class is open to all skill levels with beginners being introduced to the medium and intermediate to advanced painters learning new skills. The class size is limited so each student will have individual attention and will be able to work at their own level. Updated, the start date for this 6 week course has yet to be set but we anticipate late March. Once we set the start date all paid students will be notified and any remaining seats made available to new students.. Classes are on Saturdays from 1:00 p.m. to 3.00 p.m. and are open to individuals 16 and up. The cost for class is $295.All Supplies are provided.